Good News! 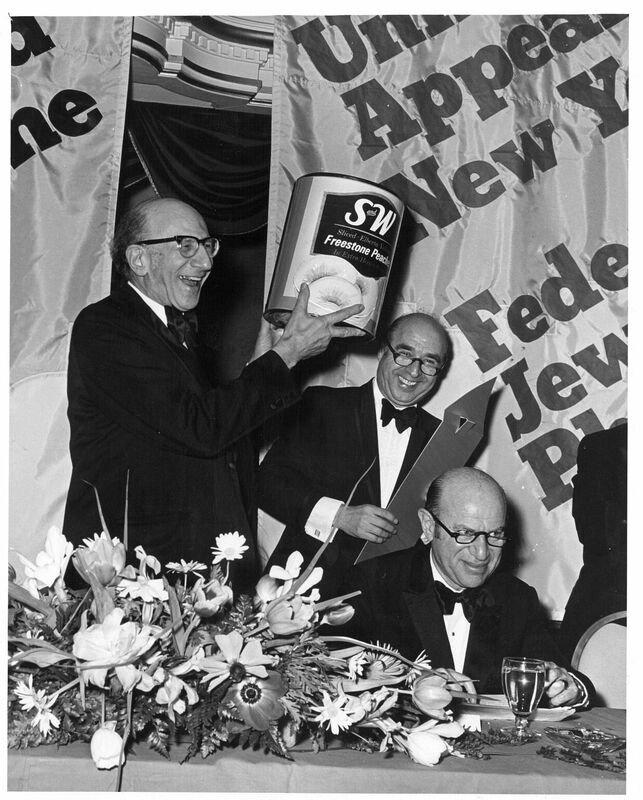 We now have nearly 500 images from the UJA-Federation collection selected, digitized, cataloged, and available online! 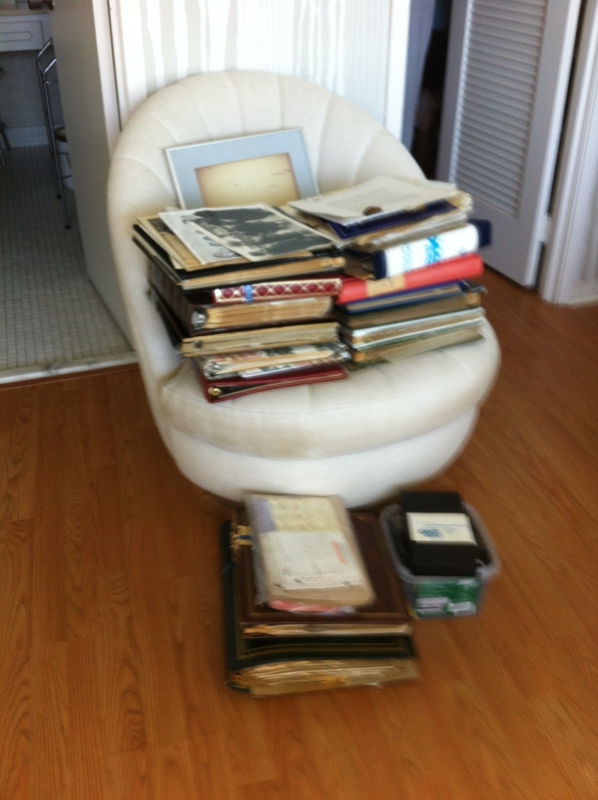 Believe it or not, this represents just a small selection of all the photographs in the collection. It contains 71 bankers boxes of photographs from each of the four subgroups of the collection (Federation, UJA, Joint Campaign, and UJF). Each box holds an average of 850 prints, so, we estimate the grand total of photographs to be around 60,000. The dates of the photos range from as early as the 1910s up to as recently as the 2000s, with the bulk of the material landing in the 1950s, 1960s, and 1970s. 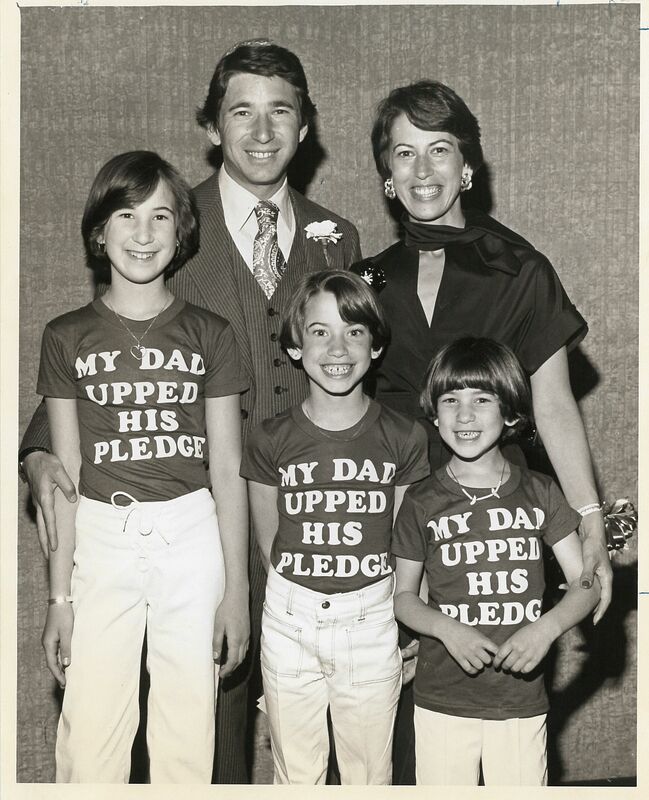 Both UJA and Federation sought to document and promote their accomplishments, events, and prominent personalities through these images. 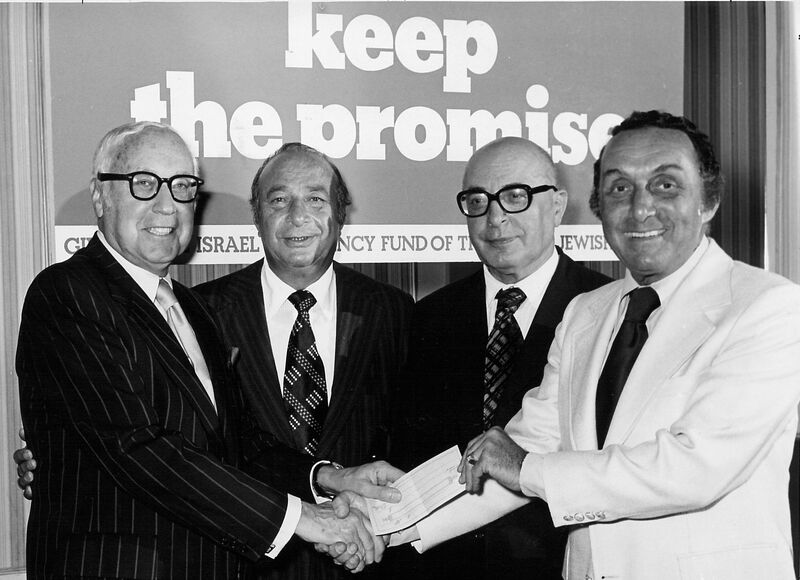 As these institutions merged, the Joint Campaign and UJA-Fed continued the practice of documenting their activities and their people, so researchers will have an unusually rich visual record of the whole organization to draw upon. While the majority are black and white 8 x 10″ prints, many other sizes and formats, such as 35mm color slides, various types of color polaroid prints, and negatives of all sizes, are included as well. Below are a precious few for you to sample, but be sure to check out all the digitized photos in our digital gallery when you a chance. 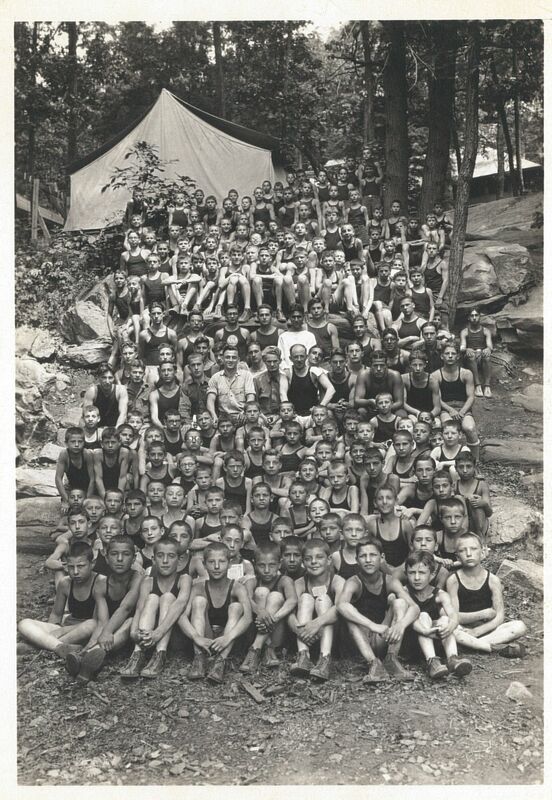 I’m Boni Joi Koelliker, the Photograph and Reference Archivist at the American Jewish Historical Society, and this week I am excited to be the guest blogger. I was available to work with Elaine Winik when her donation was ready for transfer. The following is my account of my meeting with Elaine and the opportunity I had to go through the albums and documents with Elaine herself. A few weeks ago I had the pleasure of meeting with Elaine K. Winik, the first woman President of the UJA of Greater New York (1982-1984), to survey the materials she donated to the UJA-Federation NY collection. 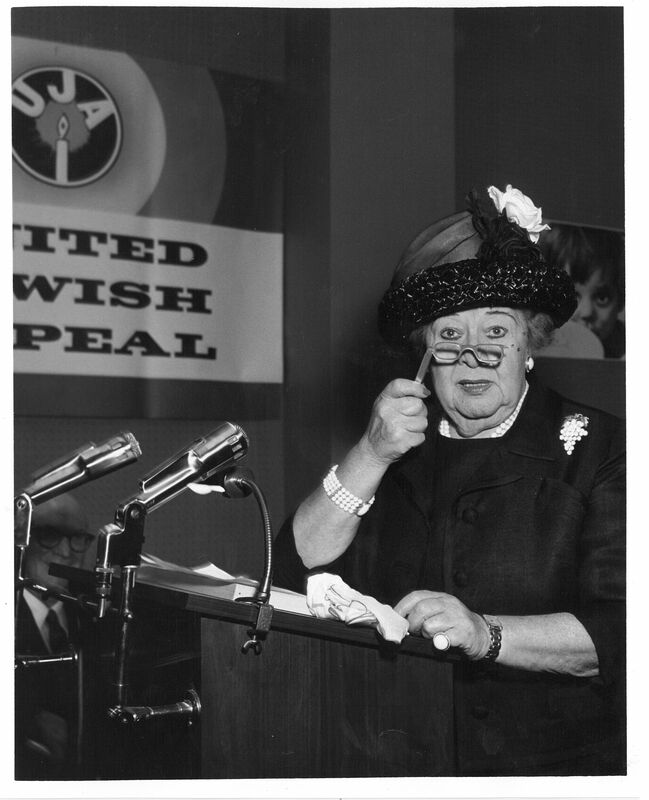 Mrs. Winik documented her time serving as UJA President by creating over a dozen albums that are part photographs, part ephemera and include correspondence, itineraries, notes, mementos, and UJA fundraising materials. One advantage of an onsite visit with a donor is discovering additional materials relevant to the collection and being able to hear first hand about the context of the materials. This was the case with Elaine; while sorting through her papers we found a plastic bag full of audiocassettes containing speeches and interviews she gave during her tenure. Elaine Winik is known for her speeches so this was an auspicious find. 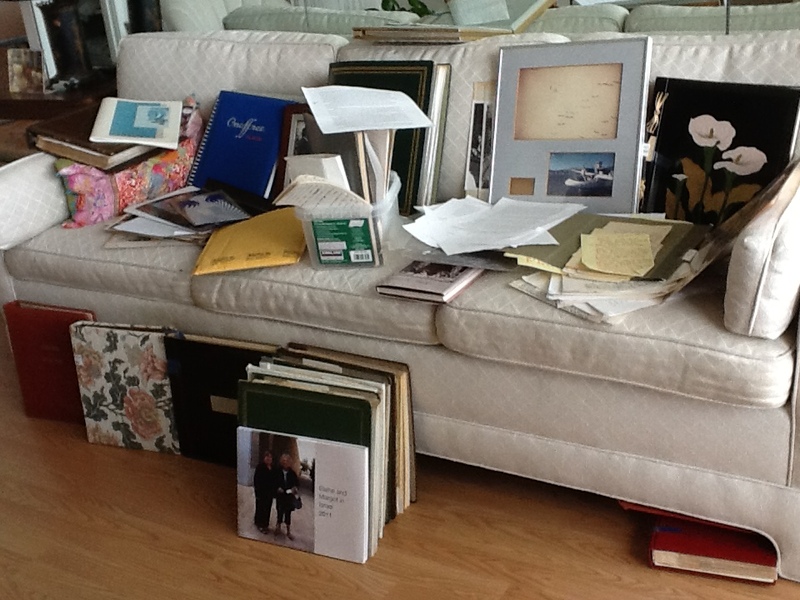 She also donated correspondence, writings describing her experiences working with UJA, and notes she took on her trips to Israel and Russia. I was delighted to hear the stories of Elaine’s time working with UJA in person. Below are photographs of the items before sorting and after waiting to be packed and shipped to AJHS. Raised in New York Elaine Winik retired to Palm Beach, FL a couple of decades ago but at ninety-two years old she continues to campaign for the causes for which she advocates. She is an honorary officer of the UJA-Federation of New York, an honorary board member of the Joint Distribution Committee, and describes herself as a fierce Democrat. To learn more about Elaine K. Winik, listen to her oral history in the UJA-Federation of New York Oral History Collection. 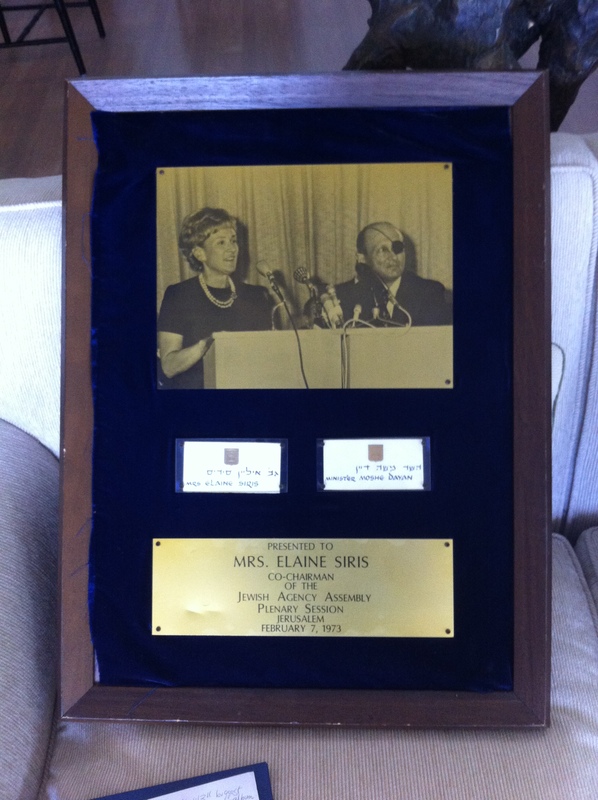 We received this wonderful plaque, above, of Elaine Winik (aka Mrs. Elaine Siris with Moshe Dayan) serving as the Co-Chairman of the Jewish Agency Assembly Plenary Session in Jerusalem February 7, 1973. As Federation was preparing to officially incorporate in 1917, the men and women of the Committee on Federation met frequently in 1916 and 1917 to set up the structure of the new organization and determine how it would function and which agencies it would support. I have found one set of minutes particularly interesting – the minutes of January 8, 1917 (beginning on page 13), which include several appendices. Appendix C is a letter to Felix Warburg, the Chairman of Federation prior to incorporation and his election as president, from a group “constituting … a temporary committee of twenty-five to consider the financial aspect of Jewish religious education in New York City”. A faction involved with the creation of Federation was in favor of including Jewish education as agencies eligible for Federation’s support; this issue was discussed repeatedly in the meetings that year. It was clear that in addition to disagreements about Federation’s core responsibilities to the community, and whether that included any agencies in addition to medical institutions and the truly poor and needy, there were financial hurdles to adding Jewish education to Federation’s commitments. The group proposed various solutions, and recommended that Federation form a Board of School Aid in order to solve the issue of funding. There were several fears in NOT becoming involved in funding Jewish Education soon. High on that list was that another federation would form specifically for that purpose, and would compete for resources and influence from within the same community. Israel Unterberg (chairman) – Self-made manufacturer, banker, philanthropist and president of the Jewish Education Association. Unlike other members of the committee, he was on the board of Montefiore Hospital, an early Federation agency, and his wife Bella was a member of the Special Committee on Federation. Their daughter Lillian Derecktor speaks about her father in her oral history. Henrietta Szold – In 1917, 5 years after founding Hadassah, Henrietta Szold continued as the head of the Department of Education of the ZOA in New York. She remained influential in the field of Jewish Education in America before moving to Jerusalem in 1920 to focus on the Hadassah Medical Organization. Judah L. Magnes – First Chancellor and President of Hebrew University, and a founder of Ihud, which proposed a bi-national state in Palestine. Louis Marshall – Lawyer and Jewish community leader who was a founder of the American Jewish Committee. The finding aid to his collection is here. Mordecai M. Kaplan – Rabbi, essayist and Jewish educator and the co-founder of Reconstructionist Judaism. The finding aid to the Jewish Reconstructionist Foundation Records is here. Cyrus L. Sulzberger – Jewish communal leader who was director of the Jewish Publication Society, chairman of the Executive Committee of the Bureau of Jewish Social Research, founder of the American Jewish Committee and later, treasurer of Federation. 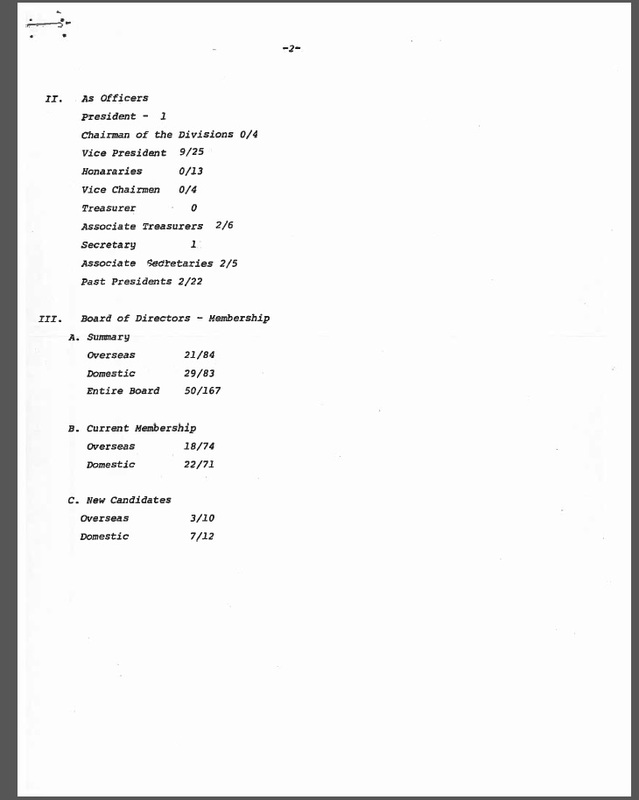 Coinciding with national discussions in the 1980s about women in the workplace, the topic of women in executive positions at Federation was under consideration, as seen in this excerpt of minutes from a Board of Trustees meeting in January, 1984. 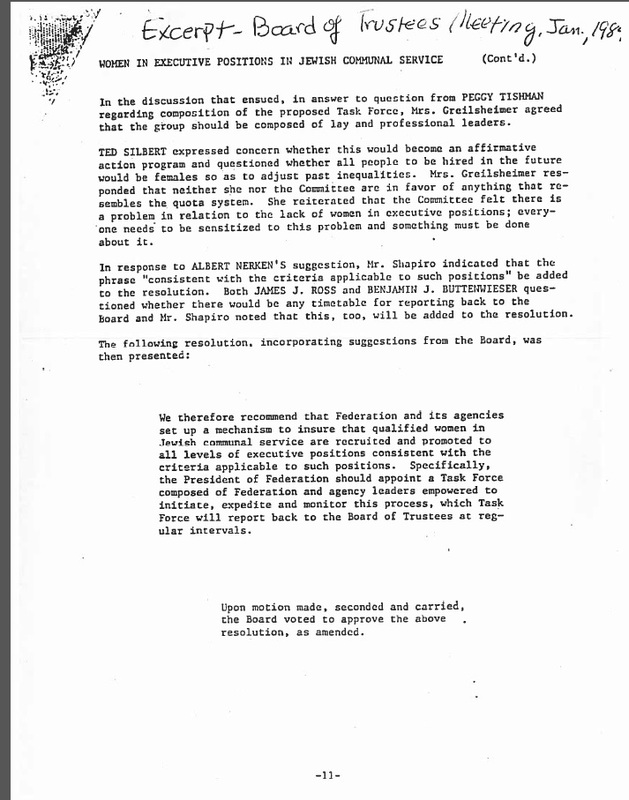 Responding to “a problem in relation to the lack of women in executive positions” and the sentiment expressed by Federation leadership (including two of the women who would later become Presidents of the organization) that “everyone needs to be sensitized to this problem and something must be done about it,” in this excerpt we find a mandate for a task force. 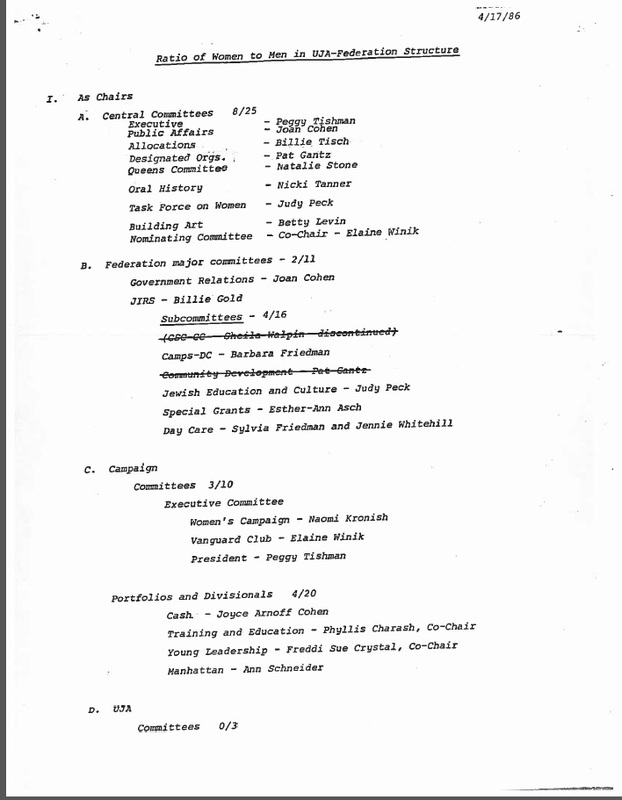 This task force, composed of Federation and agency leaders, was charged with recruiting more women to “all levels of executive positions.” Indeed, in its nearly 70 year history before the 1986 merger with UJA, Federation had only one female president who served a complete term (Wilma Tisch served from 1980-1983, while Madeline Borg served as acting President for a shortened term, from 1938-1939). We also find some opposition to the idea of more women in leadership positions, in the form of an anti-“affirmative action” argument. Though the specific actions of the task force at this point remain unclear, perhaps this outline from the year of the merger, titled “Ratio of Women to Men in UJA-Federation Structure,” was a product of their efforts. As of 1986, all categories except one (Board of Directors, New Candidates, Domestic) show that less than half of existing positions were filled by women. Women in leadership positions continues to be a hot topic. In the case of presidents (the highest office) at UJA-Federation, Peggy Tishman became the first President of the newly merged organization, serving from 1986-1989, and Louise B. Greilsheimer was its fourth President, serving from 1995-1998. Alisa Robbins Doctoroff was appointed President in 2013, and currently holds that office. However, this is still only three women out of ten presidents of UJA-Federation, since 1986.